Suddenly an agonizing outcry interrupted my afternoon spades game. It’s the wailing I was used to after spending over a decade in the penitentiary where stabbings are methodical occurrences that happen every week. Yet, in the two and a half years I’ve been back in M.D.C. Brooklyn on appeal, there’s only been two stabbings on my unit, which would really be labeled as scratches, not that serious at all. But this currant screeching was reminiscent of the past, felt in my bones to where I assumed someone was being punctured to the point of loosing their life. Up on the top tier, a cell door slammed open, amplifying the screams from this 6 foot 2, muscular mountain of a man, about 35 years old, struck with a look of pure terror. Blax, my new celli, tried pulling this huge man back in the cell, only to be swatted away like a fly while his yelling continued. Mountain man, sprinted to the stairs with the attention of the entire unit watching. A two second hesitation, which I suspected he needed to take a deep breath for the continuing hallowing as he threw himself down the stairs. This was a enormous guy, about 250 pounds of muscles, coming down each of the 15 steps hard. Crashing at the bottom, he sprang up, spun around and raced back to the top, bellowing out the piercing scream of horror. He grabbed the same steel cell door he just kicked open, slammed it against the wall and began punching it bare knuckles, like a young Rocky Bowbowwa beating up a side of beef while training in the ice box. By now of course, we all figured out what was going on, he was having what we call an epp, short for an episode, after smoking synthetic weed, known as K-2. These are the weekly occurrences I’ve become used to here at M.D.C., it’s just that this one took the crown. He continued beating the steel door until the C.O.’s ran in. 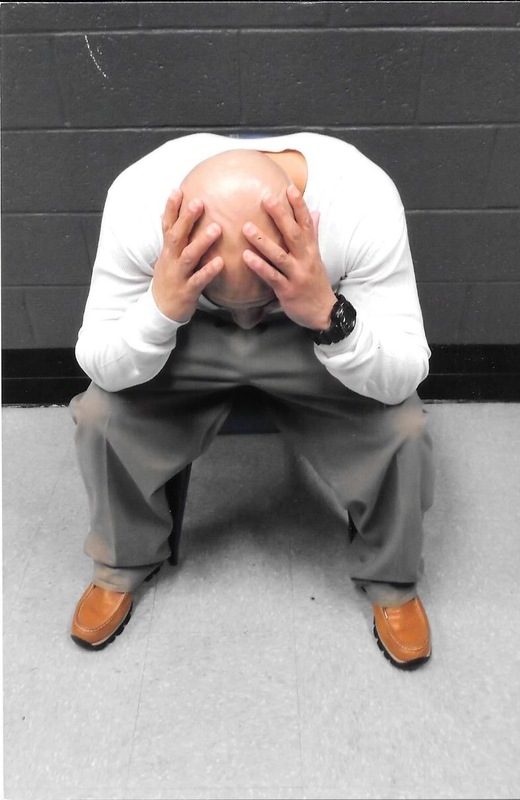 It took five officers to restrain him while he kicked, punched, screamed and defecated on himself, until finally he was cuffed and carried out. You would think that guys would see this as an informitable warning that what’s labeled as synthetic weed is nothing like weed at all. Smoking crack doesn’t make people act like that! But in this strange world where down is up and up is down, as soon as they let us back out of our cells, all the smokers were running around trying to get some of what he had! How crazy is that. My Fathers Day Event Radio Commercial! An open letter to all fathers. As we approach another Fathers Day. I wanted to share a few words, hoping other fathers don’t make the same mistakes I have. This weekend the first national March For Our Lives took place, and my mother, Jean Wright was present with Nia, my 13 year old daughter. It’s like a sacred rite of passage in my mothers mind. My sister Mimi and I would shout right along, with flowers and peace signs painted on our faces, with puffed out afro’s like lost members of the Jackson five. There still hasn’t been a nuclear war, yet more nations now have and are fighting for nuclear arms, which stirred a few questions in my mind. Why is it that our government is so against allowing every nation to have nuclear weapons for their own protection? Isn’t it their right as a free country? When our government makes the argument of limiting the countries that have access to nuclear weapons, as a way to insure the greater peace for the world, why don’t we make that same argument when it comes to guns here at home? AR-15’s, bump stocks and all other automatic rifles are like individual nuclear weapons that have proven to cause mass destruction at our schools and movie theaters. I know I recently made a post on banning automatic weapons. To me that’s a first step that makes sense. It also makes sense that if you insist on having a gun in the house for protection, it should be one shot gun. If you want to have a bunch of hunting rifles and hand guns, we should keep them stored at your local police station, where you have access to check them out for your hunting trip. There’s a lot of sensible steps that we could take to limit the gun violence in America. Our current governmental representatives, republicans and democrats alike, haven’t done anything but talk a good one for the political spot light. There are free democratic countries that have almost no gun violence. America appears not to care about the well being of their citizens like those countries do. The younger generation is the foundation of the March for our lives movement. Unfortunately, it appears that it’s going to take until that younger generation gets old enough to have the political power to demand a radical change. Until then, we’ll have to continuously re-set the clock in expectation of the next mass shooting. I don’t want this to be a doom and gloom post. I’m inspired seeing the marches on the news, knowing that the seed of hope and change is being planted by my mother in her granddaughters mind. She’ll grow up knowing she too has the power to make a difference. Although Nia’s generation would more likely take to the internet to insure their voices are heard around the world. My mother is teaching her a lesson to march a peaceful protest, taking it to the grass roots that gave us the freedoms and liberties we often overlook today. That’s a rite of passage that should never be ignored. Open letter to the father I used to be! Referenced Article: Father Reportedly Refused To Claim Orlando Shooting Victim’s Body Because He Was Gay. When I first sat down to write this post, right after reading this article about a father who refused to claim his son’s body after he was killed in the Orlando Massacre at club Pulse, my outrage, anger, and disgust for this father who was causing more hurt and pain to his son’s family and friends was clear in my explicit word expression because…..I was mad as hell. My blood was boiling as visions of a young mans body, alone in the morgue just waiting for his loved one’s to put him to rest flashed in my minds eye. I was livid and had to step away from what I was writing when I noticed how upset it made me.